How do I turn on push notifications for iOS? Push notifications are key when using the HomeSpotter app. 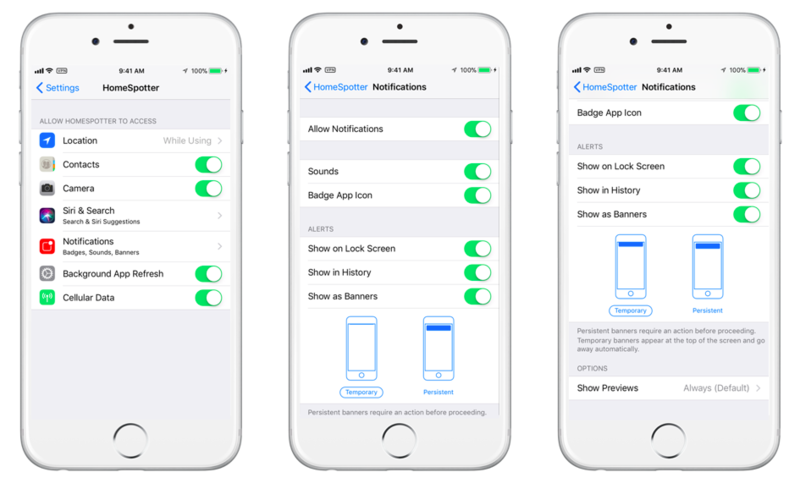 We use push notifications to alert you anytime someone downloads your branded app, or when a client or prospect sends you a message or a property in the app. To make sure you have everything turned on, first go to "Settings" on your device and scroll down until you see HomeSpotter. Tap on the name HomeSpotter.